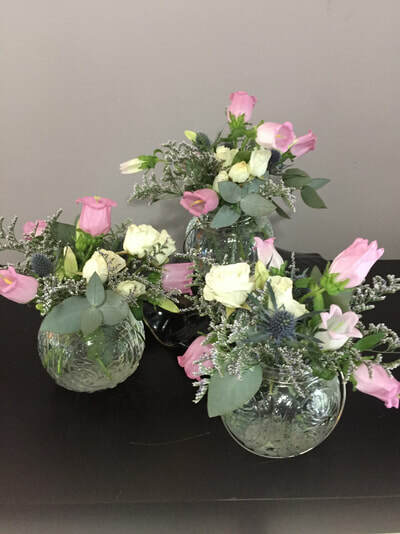 We provide florals that fit the occasion, are aesthetically pleasing, long-lasting and complement the setting. ​Event flowers: These flower arrangements can be small or very large. Often there is a number of tables plus, a stage or event space to be decorated with a variety of floral designs. Centerpieces or wreaths and garlands are just some of the items that would fall into the category of event flowers. Personal flowers such as boutonnieres or corsages or head wreaths might also become part of this type of flower need. Weddings, anniversary parties, business or charitable organization's luncheons, appreciation dinners are some examples. 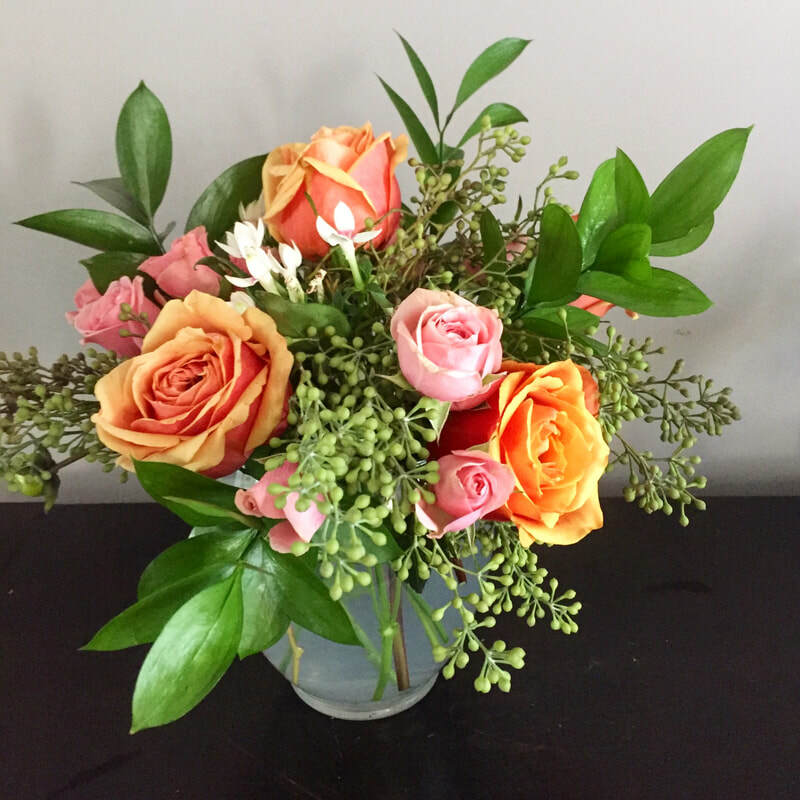 ​Subscription flowers: This type of flower order is sure to take the ordinary out of every day! YOU decide the interval (every week, twice a month, monthly - whatever the time span is you decide) at which flowers are going to be delivered to your home or business. You decide how much money you want to spend and there will be flowers around you throughout the year. If you like variety they can be different each time - or, if you like consistency, we can deliver the same ones each time and make it look as though they last forever! 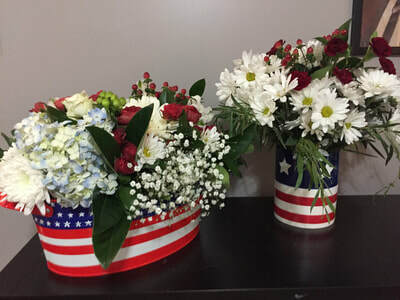 We will bring an arrangement in a fresh container and pick up the one from the previous delivery. You will only pay a small rental fee for a container the first time and if you decide to keep one or break it. Pamper yourself or someone you love or would like to impress with making flowers part of your life every day! 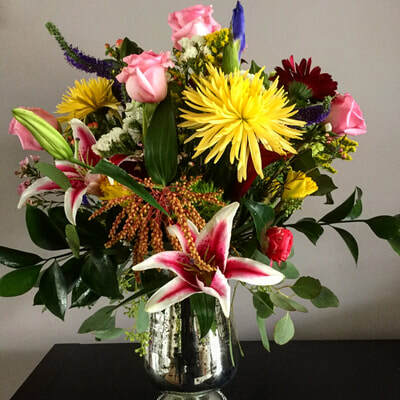 ​Holiday or Birthday Lists: Do you give flowers on a relatively regular basis? 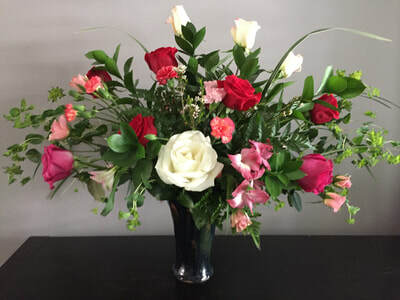 Do the recipients look forward to that special bouquet you always send for birthdays, Mother's Day or on major holidays? If you have such a list and want us to help make sure these special people get fresh and gorgeous flowers we'd love to help. You just provide the dates and addresses and we'll keep track of them for you. This type of a subscription is useful for businesses with staff birthdays or anniversaries to be remembered and celebrated. Call us and discuss - you may have ideas we haven't thought of but we'd love to help you realize your vision! It is entirely to your need. 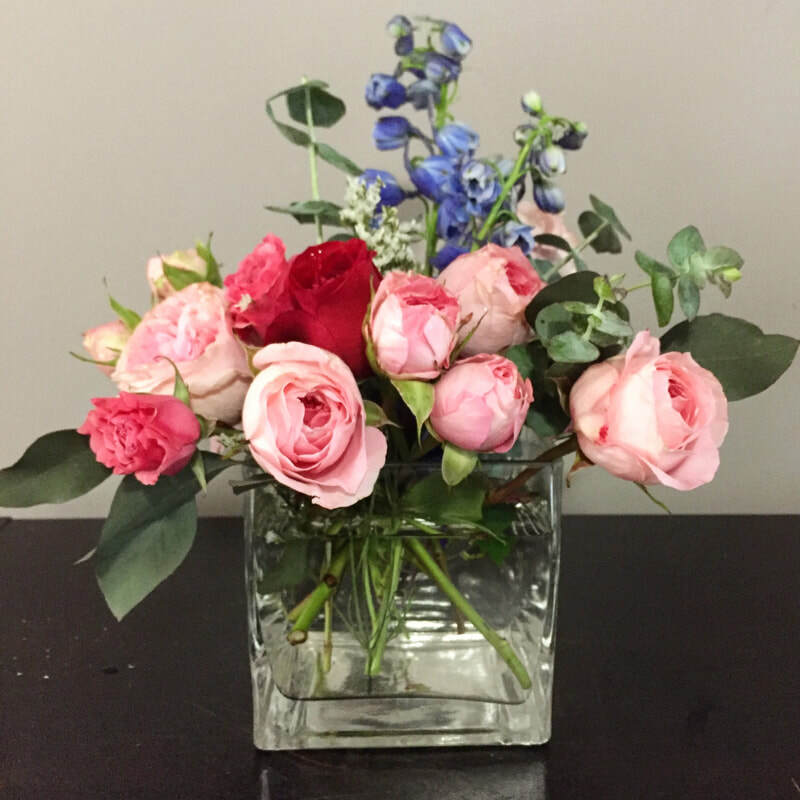 ​Flower Arranging - Flower Power - Group Events: Get together friends or your team at work and spend some time together to enjoy learning a bit about the principles of flower design and then put your own creativity into practice by designing your own take-home arrangement. 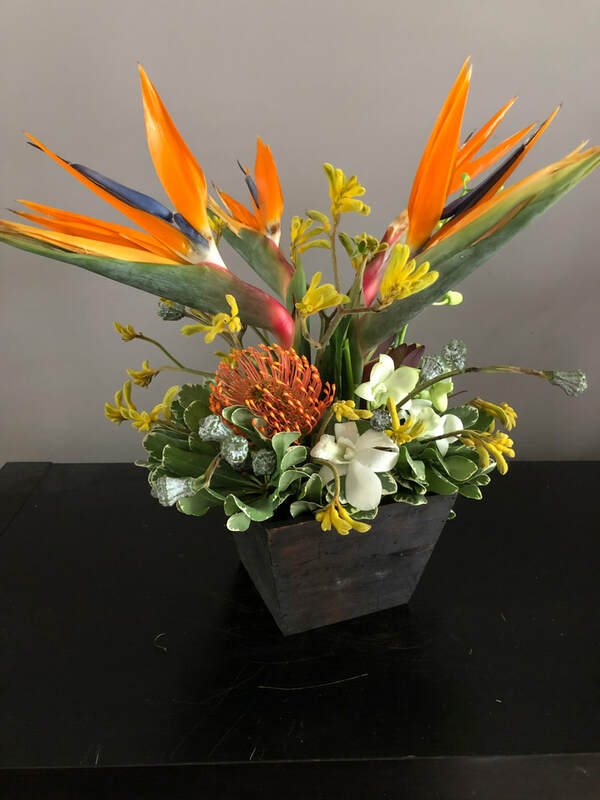 We bring the containers, tools and especially the flowers to you and set them up like your own little flower market where you choose the blossoms and greens you'd like to incorporate into your own personal beautiful bouquet, topiary or arrangement. Talk with us if this may be something your group would enjoy. We love to be part of such happy occasions! 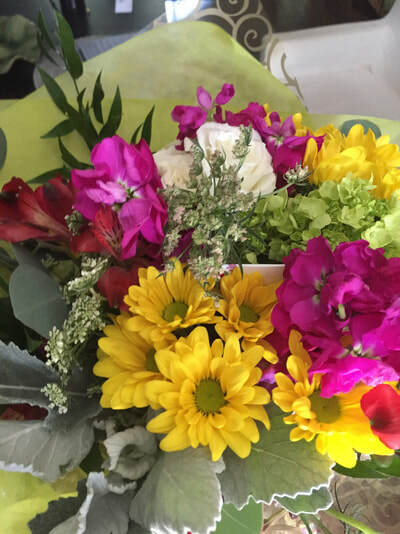 Why get flowers? The Enjoyment, of course! Every day is a great day for flowers! Holidays definitely too! Honor or show appreciation for your customers or clients, employees and associates - they will love it! Give us your birthday or special occasion list and we'll make sure the right kind of flowers are delivered on time - taking your last-minute worry entirely out of your life! Make your home or office look good and cared for by displaying fresh florals. Oh, how you will enjoy that! 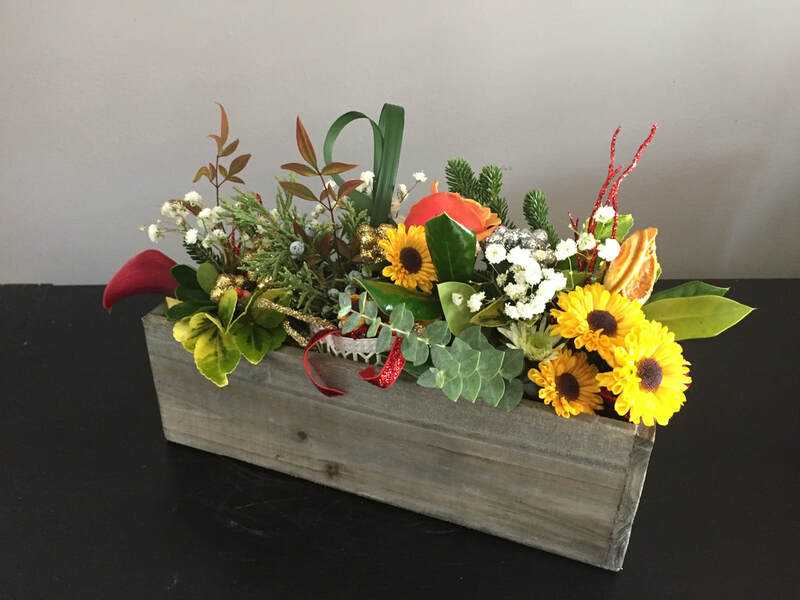 We love to follow the seasons or bring your favorite flowers to you year-round! Enhance your next meeting, presentation, dinner party, wedding, baptism, show or event with flowers - you will feel the difference!! What do we provide? Too easy to say whatever you want, but we do try and give you what you'd like or need! 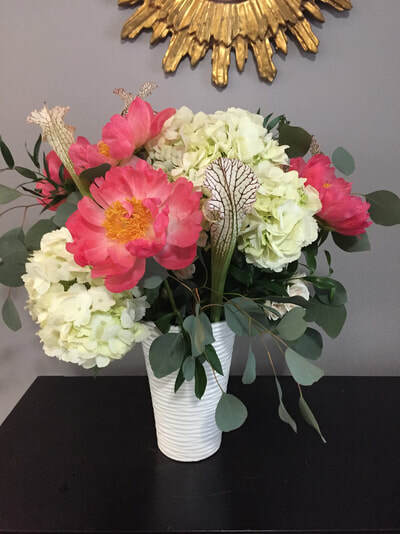 Coordination of all that is floral with the host or hostess, wedding/event planners, stylists, venue management, caterers, vendor staff, clergy, funeral home directors and others - whatever we can do to make it easier for you! Our delivery charge is $15 for the first 10 miles and $1 per mile additionally thereafter. 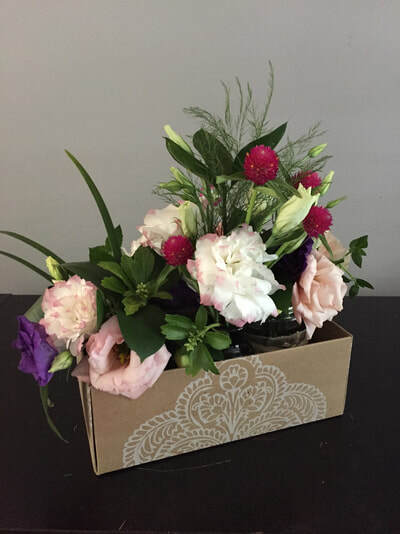 But you are welcome to pick up by appointment and add extra flowers instead of spending extra dollars on delivery. Flowers come in all sizes and prices. We work with your budget and collaborate with charitable organizations in service of others as much as we can on our pricing. 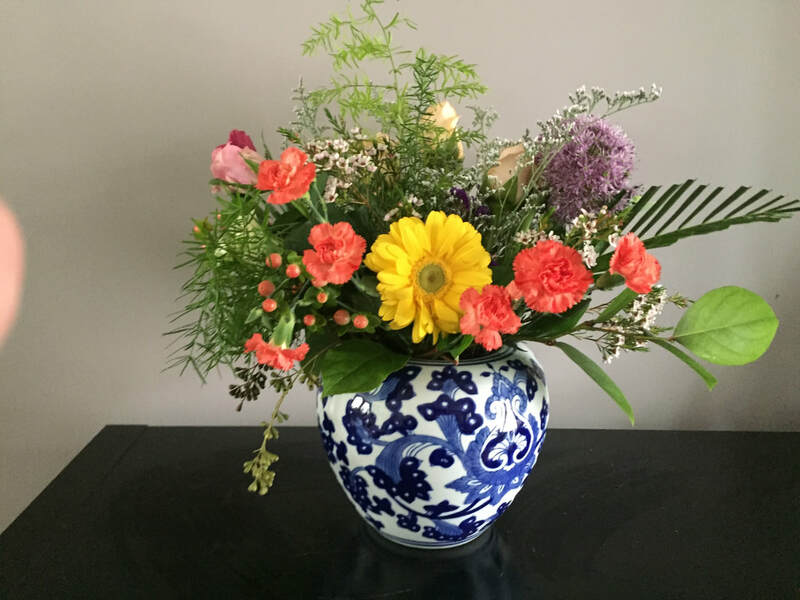 Subscription deliveries are made in different kind of containers/vases/vessels to best match the arrangement. You pay a rental fee one time only and then return the container at the time of the next delivery and your subsequent containers are free loaners until the next delivery. If you like a certain container just too much to return it or break it we will charge an appropriate fee and it's yours to keep.